William J. "Bill" Valle Jr.
William J. 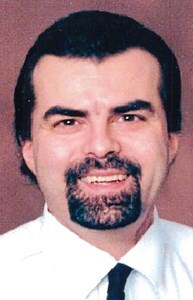 “Bill” Valle Jr., 56, of Syracuse passed away suddenly on Tuesday. Bill was born on December 24, 1961, the son of William and June (Green) Valle. Bill loved all types of music and going to any concert he could. Family and friends could always count on Bill to make them laugh with that corny joke. Bill was devoted to his children and was lucky enough to know how much they loved him. Bill is survived by his children; Jeffrey Mirizio, Christine Valle, Joshua Valle, William Valle, III, mother of his children Cecilia Valle, his mother, June, siblings; GiGi Valle, Jeanine V. Armstrong, Kim Valle, Anthony S. Valle, along with nieces, nephews, cousins and many friends. He was predeceased by his father, William, and his brother, Michael Valle. Calling hours will be held on Monday from 10-1pm at New Comer Cremations & Funerals, 705 N. Main St., N. Syracuse, with services at 1pm. Burial will take place at Woodlawn Cemetery. To share a memory of Bill or leave a special message for the family, please click the Share Memories button above. Add your memories to the guest book of William Valle Jr.. I wasn't able to speak today at my dad's service as I couldn't stop crying, so below is what I would have said. My dad was the best father a kid could ask for. He always did his best to give my siblings and myself anything we needed or wanted. Even though my mom raised me, my dad made me the man I am today. I am thankful to have been able to spend practically every day of the past two years with him. These two years were special to me and I will always keep the memories close to my heart. I am going to miss all the corny jokes that caused me to shake my head. I'm going to miss his laugh, his smile, his stupid questions and sayings. I'm going to miss all the times we spent talking about and playing music. Most of all and most importantly I'm going to miss his love, our talks, and our camaraderie. I love you Pops always! Bill, will always be remembered for the laughs he shared and for being a devoted father to my step brother, Jeff. May he fly high with God and his laughter live on through all those who were blessed to ever know him. Words cannot describe the loss of the friendship, brotherhood, and the inspiration of Bill! My heart goes out to his family. I'll always be there for you. I can always get a laugh from bill when we went anywhere together, we would do some crazy funny stuff like act like Doug (Chris Kattan) and Steve Butabi (Will Ferrell) from Night at the Roxbury. or just sitting around playing music. Driving in the car going to concerts, and just long talks over coffee. The best was going shopping together no store was safe! Ill always miss you Bill.